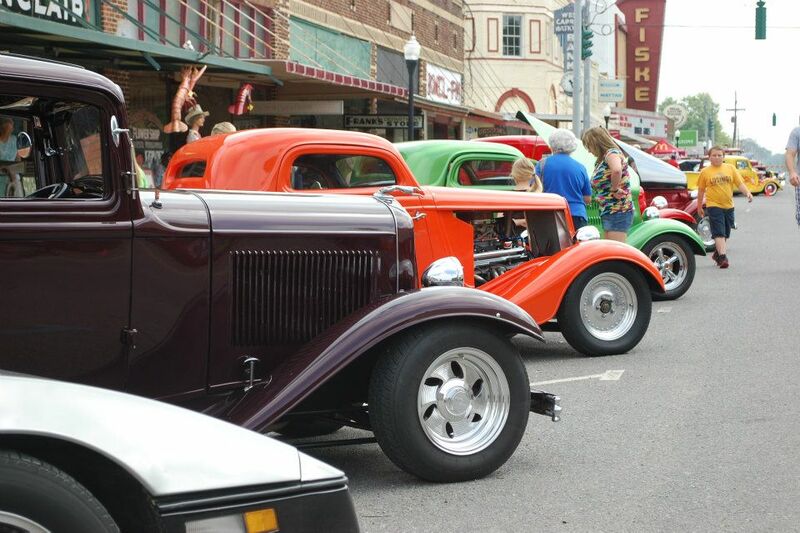 Classic Cars lined-up on main street at the 2012 North Louisiana Sweet Potato Festival. OAK GROVE, —West Carroll Parish’s premier festival, The North Louisiana Sweet Potato Festival, presented by Lamb Weston, is slated to take place April 4-6 in Downtown Oak Grove in conjunction with the North Louisiana Spring Bluegrass Festival that will be taking place at the Thomas Jason Lingo Community Center just south of town. Sweet Potato Festival and Spring Bluegrass Festival draws people from all across the Southern Region of the United States to take in some of the best Blue Grass Music in the nation and enjoy a weekend full of good Hometown America cheer. The event features an Arts and Crafts show which had more than 50 vendors in 2012, The AAA Safe Company Sweet Potato Cooking Contest, Ronald McDonald Classic Car Show, and the midway provided by Miller Spectacular Shows out of Greenbrier, Ark. which is the carnival of choice for the Arkansas and Missouri State Fairs. While all the activity is going on in town the festival also features an Antique Tractor pull that takes place next to the Thomas Jason Lingo Community Center that is hosted by the Bouf River Antique Tractor Club. The Bluegrass festival will kick-off April 3 with a covered dish super at the Thomas Jason Lingo Community Center and will feature nightly performances, Thursday-Saturday with matinees on Friday and Saturday. Special guest include Down Home Bluegrass, Harper Family, Lonesome Ridge, Joe Cook Family, Clancey Ferguson, Don Rigsby and of course the fan favorite Gary Waldrep Band. For more information about the North La. Bluegrass Festival contact the Thomas Jason Lingo Community Center at 318-428-5282 or visit them on line a www.needfoundationcommunitycenter.com. Entertainment will be going on all day on April 6 at the Courtyard in the Historic District and there will be a free street dance April 5 and 6 at the Little Freezer Stage from 6 pm-10 pm presented by Honeycutt Communications. The Bruce Foods Sweet Potato Parade will roll through town midday on April six and will tentatively feature marching bands, floats classic cars and more. The festival committee is also in contact with a very special guest that is well known throughout Louisiana which will be named in a later release once details are finalized. There are still plenty of vendor spaces available on a first come basis by calling Todd Nevels at 318-282-1549. For general inquires and event sponsorships contact Festival Chairman Adam Holland at 318-282-6938 or visit westcarrollchamber.com.